We are living in challenging times! Whether needing the strength of God's Word to carry you through a job loss, unplanned move, illness, loss of a loved one, or any other of life's many challenges, these memory verse cards offer biblical truths and shed light in the darkness for those in difficult seasons of life. The set includes 15 laminated Bible verse memory cards taken from the NIV or NASB Bible translations. The verses are specifically chosen to remind you of God's promises to carry you through the challenging seasons of life. These Bible verse cards measure 5 3/4" x 4" and are handmade from top-quality materials, including 10 mil laminate, and are spiral-bound. Tuck them in your purse, briefcase, car, diaper bag, or next to your bed for quick access. They even stand freely on a desk or nightstand! 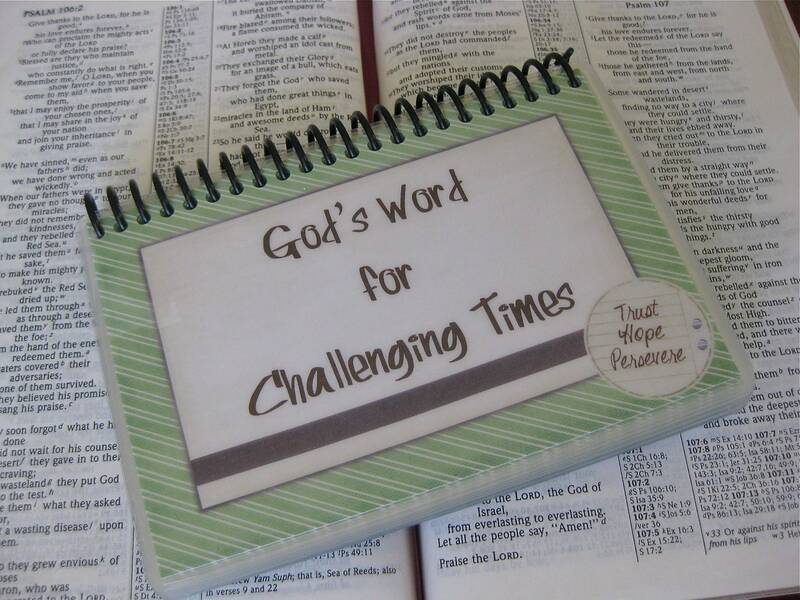 "God’s Word for Challenging Times" also makes a great gift of encouragement or a tool for evangelism and comes nicely packaged. **How to Pray Cards can be customized, too. We love to take your special orders! The Throne of Grace is amazing, offers great insight as to how to pray effectively. Owner was super responsive and was kind enough to change the color of my loop at the last minute when I requested it! Works wonderfully to secure my Apple Pencil to my iPad!